Music During Bedtime: Is It Safe to Sleep with Earbuds In? 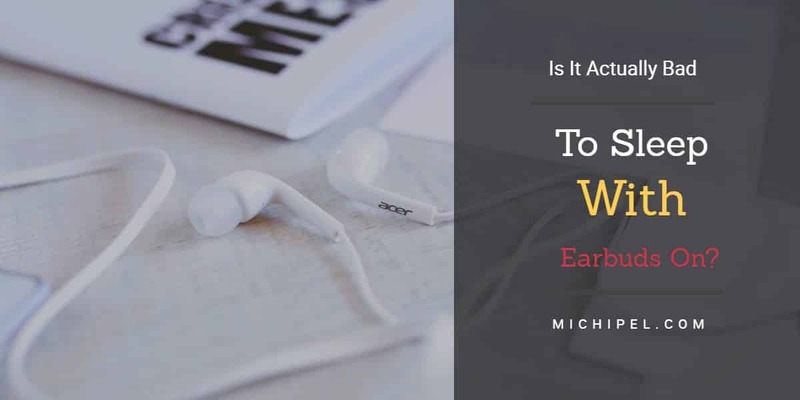 →Is it Safe to Sleep with Earbuds In? 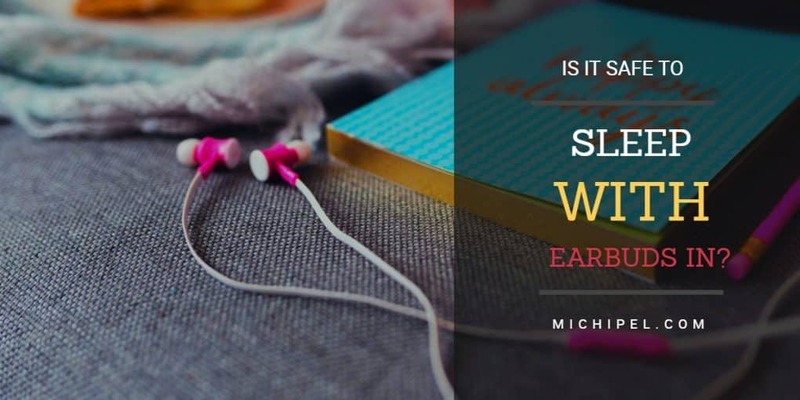 Is it Safe to Sleep with Earbuds In? Music moves people across all cultures, and although it has no intrinsic value, it’s amazing how profound this form of art seems to trigger different reactions in individuals. Some often have trouble sleeping without some soothing music in their ears to help them relax. In fact, scientists have described music as white noise, which actually helps calm the brain when falling asleep. In today’s technological world, earbuds have been used time and again to block the noise around while still serving as perfect entertainment for light sleepers. But can you sleep with your earbuds in and safely get through the night? What are the most helpful tips for sleeping with earbuds? Sleeping with earbuds can help improve the quality of sleep by distracting your brain from the surrounding noise. Even if you live in a calm neighborhood, sometimes the silence is too loud, and in-ear headphones are a good option that allows you to establish some rhythm in your brain. Low quality sleep has been linked to chronic diseases such as diabetes, depression, and heart attacks. With good earphones, though, you stand a lower chance of suffering from some of these major problems. Considering the importance of good sleep for your overall health, it’s safe to say that earbuds serve way more benefits than just a good night’s sleep. Generally, earbuds are safe to use, so wearing them to sleep is not always a problem. A study done by the National Sleep Foundation shows that using earbuds to listen to music or podcasts not only helps you fall asleep faster but also enhances your memory and make you more relaxed. However, in a stricter dimension, the effects vary for every person, depending on the music you snoop to and the volume. 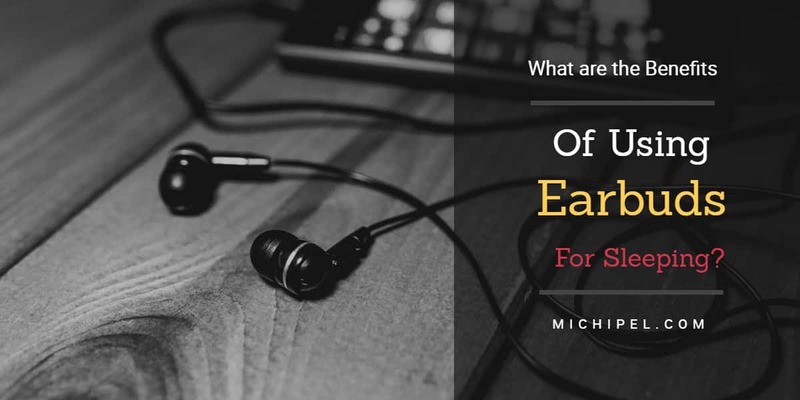 To help you decide whether wearing earbuds to sleep is safe or not, here are a few questions to get you started. How many hours do you sleep with them on? Do you sleep with them on every day? What volume level do you use? Also known as skin ulcers, skin necrosis is the death of body tissue. This may be caused by using earphones that are too hard and tight. They exert too much pressure on the skin in the ear canal causing it to breakdown. While asleep, the average person’s sensitivity to pain is decreased, and you may not feel the discomfort when sleeping with your earphones in. Necrosis may take weeks to heal, and are usually severe in pain. Accumulation of wax in the ears for too long may lead to bacterial infections to your ears and if not addressed early, the infections could develop into serious hearing problems. The Otitis ext﻿﻿ern﻿﻿a is a medical problem that arises due to prolonged use of earphones during sleep. Your ears can develop a severe irritation that often feels like a sharp pain along the jaw line. Although not that probable, there have been cases of death resulting from self-strangulation using wired earbuds. While asleep, the wires may become tangled around your neck and deprive you from breathing properly. While sleeping with earbuds may have its drawbacks, it’s still a good way to relax yourself especially if you live in a noisy neighborhood. 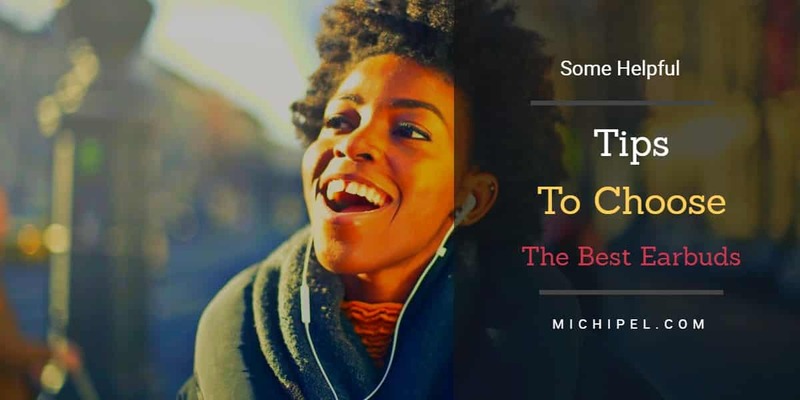 If you’re already used to sleeping to some calm music in your ears, here are some great tips to help you get the most out of your favorite playlist while still keeping your health in check. Too loud music can damage your eardrums. That’s as plain as can be said. The idea is to relax your body, relieve all the day’s stress from work, and fall asleep peacefully. It then only makes sense to turn down the music on your earbuds to some reasonable volume to help rewire your brain and calm you down. This is not only good for your health but also helps sooth you to sleep faster. Big earbuds are annoying as they keep falling off. Small in-ear headphones are also too tight for some ear canals to serve comfort right. When buying your earbuds, you want a pair that actually fits. This helps improve your comfort when sleeping in them and protects your skin from infections. The prolonged use of these audio devices causes wax to build up in your ears, and this could mean serious problems if not addressed properly. To ensure this does not happen, make regular visits to an ear specialist to have all the wax buildup suctioned out. While the difference with non-vented earplugs is not that huge when it comes to sleeping, vented earbuds offer an added advantage in terms of comfort. They have a small hole which serves to equalize the pressure in your ears and give you a more “balanced experience”. They are also easy to mold to the size of your ear and are a great choice for sleeping while jamming to some classic music. Sleeping with earbuds, if done right, is generally safe. In fact, it could offer some advantages when it comes to offering a relaxed sleeping experience. Research has shown that using this approach to get some sleep is a useful alternative treatment for people who suffer from insomnia and PTSD. If you are a light sleeper, earbuds are a good option to improving the quality of your sleep. However, to protect you from the possible side effects that may come with these devices, always remember to keep them clean and replace them when they are broken. Again, remember to go for the right size. At the end of the day, we are trying to sleep, not overdress!